Lean more about Nordic Seed's laboratory services below. Click on the plus icons to open the topic for more details about germination, putity tests and plant production. For more details, please contact our laboratory staff. You will find their contact information here. DH Plant production is a techniquee which isolates immature pollen cells from the plant which grows are as a cross breed. These cells are grown on a nutrient. 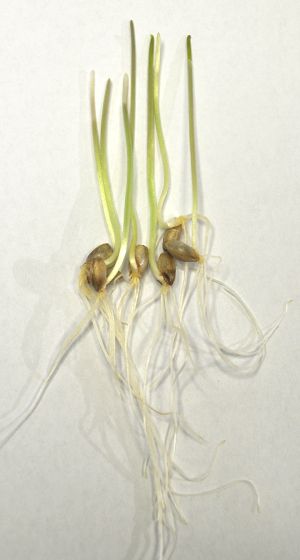 Immature ears with immature pollen are sterilised, prepared and exposed to cold. The ears are blended to release the immature pollen, which will then be cleaned using centrifugation. Once the pollen has been cleaned, they will be sat on the nutrient for growth. Some of the pollen will form embryos, some of which will form plants. Once these plants are established they will be transferred to soil. 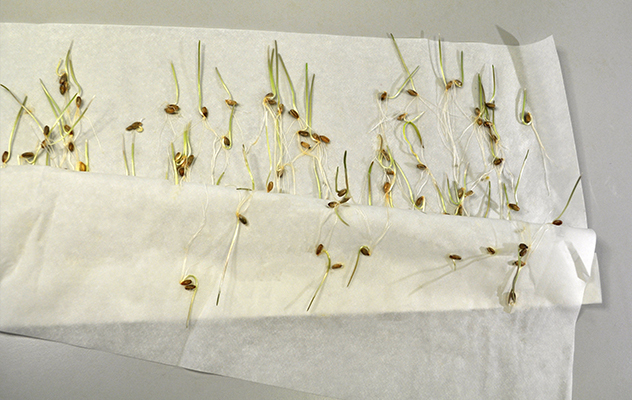 Germination in paper of barley, wheat, rye, triticale and wheat, is used to examin the seeds germination. 4 x 100 seeds are counted and placed between damp filter paper for 7 days at 20 degrees. The number of normal and abnormal, fresh non-germinated and dead seeds is counted and registered. 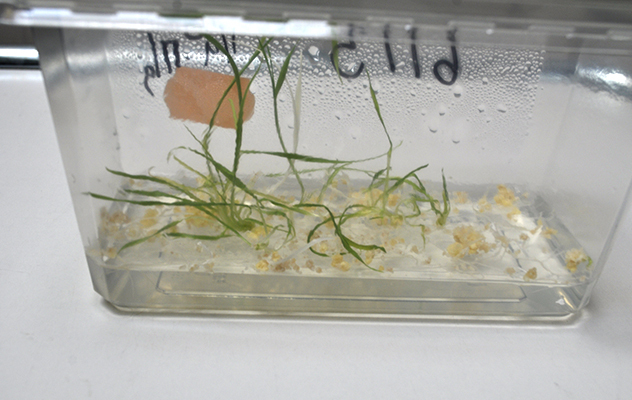 TZ analysis is a germination test which can be performed within 24 hours and is often used when time is a factor. 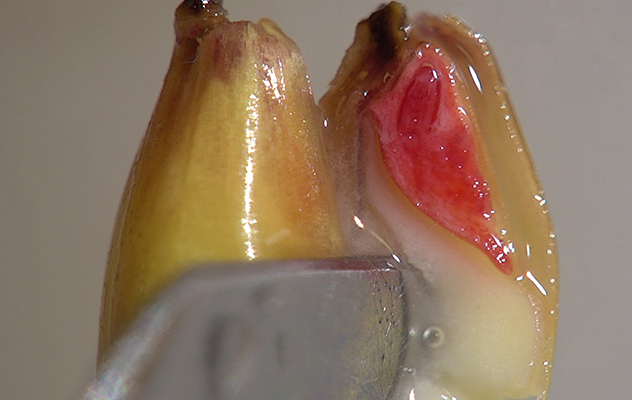 TZ stands for Tetrazolium, which stains living cells in the kernels. The formation of roots and leaves is evaluated. Potential heat damage can be detected using this analysis. This purity test is used to determin the purity of the seeds. 120 grams are controlled for waste and 1000 grams is checked for seeds of other crops and weeds, including Avena fatua and Avena sterilis. With confidence, molecular breeding at Nordic Seed is moving from the research and development phase into the application phase. Our molecular breeding lab is equipped with state-of-the-art instruments, including a robot for liquid handling and a well-established single-nucleotide polymorphism (SNP) genotyping platform. Our overall aim in the Research & Development team is to provide breeders with relevant molecular markers data, i.e. resistance to diseases and superior quality. Such information helps breeders to take informed decisions during selection, and to deliver high-yielding varieties with a high degree of resistance and quality that meet market demands now and in the future. Projects and collaboration with public and private partners are essential to our R&D policy. They provide important information concerning new cutting-edge technology and know-how, as well as giving Nordic Seed access to expertise and facilities from universities and other project partners.. 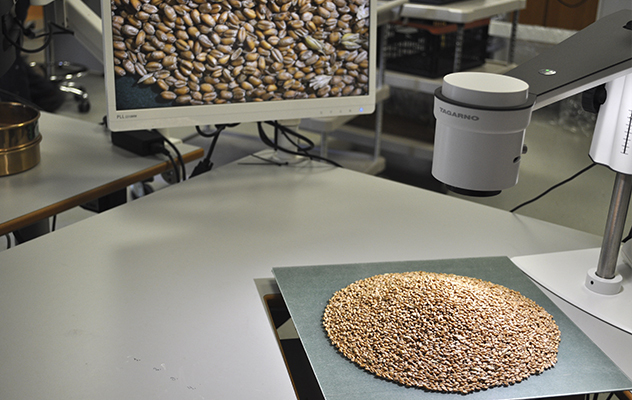 Among these national and international projects, we have industrial PhD and post-doctoral projects running at Nordic Seed to improve resistance and quality of wheat and barley.